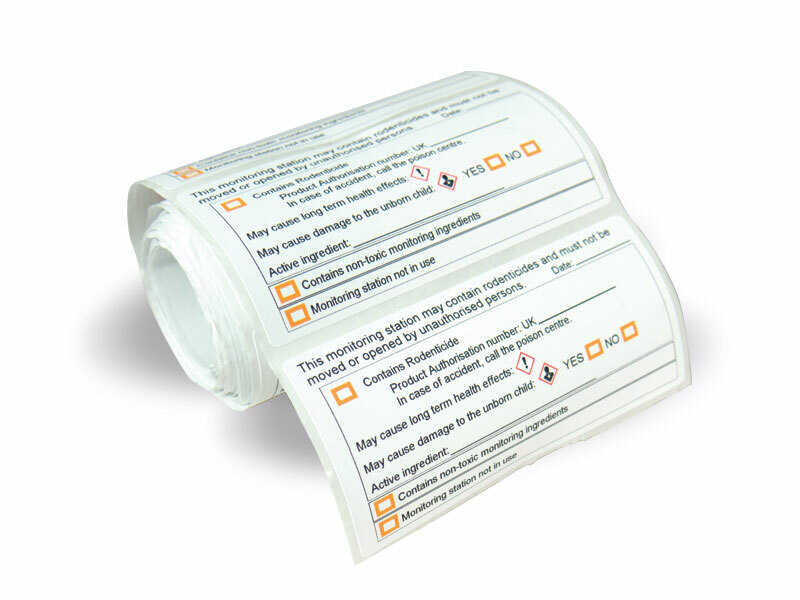 Some rodenticide labels now refer to a requirement for labelling bait stations with certain information. To make life simpler for pest controllers, Barrettine have produced a new ‘Box Information Label’. This label contains the required information and can be affixed to the outside of mouse and rat bait stations. The sticker is waterproof, resistant to UV-light and can be written on with permanent marker pens or ballpoint pens.